Over 3000sq. 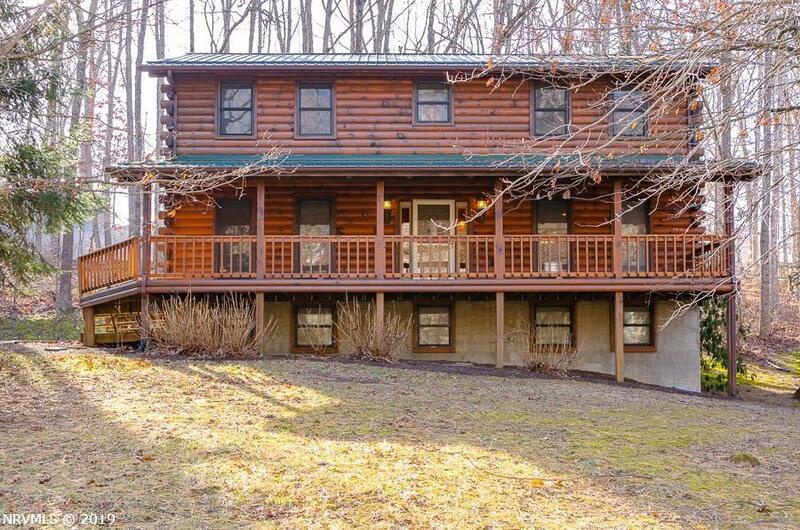 ft log home, with newer metal roof, available in the heart of Christiansburg. From the four seasons room off the kitchen to the full apartment in the basement this home has so much to offer. Open, flowing floor plan with a large master suite, offering a W-I-C & private bath including a relaxing jetted tub! HUGE bedrooms, gas logs in living room, a private deck & large front porch make this home complete. Directions: Roanoke St. To Depot St., (R) On Hans Meadow Rd., (R) On Sherwood Dr., Home On (R).